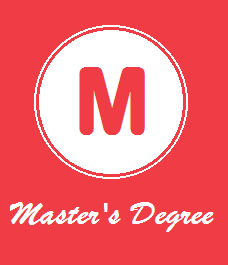 After Bachelors degree it usually takes Two Years to get a Master's Degree, But it is not a fixed time limit as it is totally depended on field of study, Some times it may be also for One Year and some times it may be also for Two to Five Years. Here in this article we gonna explain how much time is taken to get a masters degree on the basis of fields of learning. In this program students and instructors interacts face to face which is a better atmosphere of learning. Students can do experiments and can easily understands Masters degree can be achieved in Two years by this program. In this type of program students do not have to go to campus and attend classrooms, they can learn from home using Email, Chat and Online Video Streaming. There are various colleges which provides Online master degree program. Distance learning program also takes Two Years to get a master's degree. As from name it is the program which allows students to get a masters degree while they are working, many students usually get involved in their job they do not have more time to attend full time program. So they Join this program and learn while working. Due to short terms of learning it usually takes Three to Five years to get completed.